The crew at Android Police were able to obtain a picture showing revised Google Music and Google+ apps for the Ice Cream Sandwich OS. Google Music 4.0.1 has a new UI with more options and new controls. The look of the new app has some minor improvements. The selection menu now shows itself as a dialogue box under the artist's name as opposed to the current pop-up box. The "available offline" feature is no longer available on the new app, which might indicate a change in the way the program fishes in the stream for your songs. The player interface removes buttons and replaces them with better looking controls and with the lack of navigation keys on ICS, a search button appears on the interface. Tapping the album cover in the new version of Google Music will bring you more information about the album and the track being played. 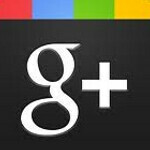 The Google+ version 2.0 app for Ice Cream Sandwich shows that the Messenger and Conversations part of the social networking app has been renamed to Chord. While the new Google+ looks the same as the current app, you can see the new name listed on the Messenger and the Conversations page where the "Chord" name is printed on top. Why change it from the Messenger heading? It might have been a legal issue and we all know how much business the hardware and software manufacturers have been throwing out to lawyers lately. Perhaps we will find out more when Ice Cream Sandwich is announced, whenever that new date will be.